Intervene Immune is dedicated to human thymus regeneration and spin-off applications that arise from thymus regeneration, including the reversal or prevention of both transplant rejection and autoimmune disorders of all kinds. 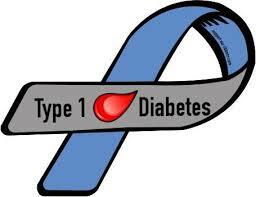 Type 1 (juvenile) diabetes (“T1D”) is one autoimmune disease of particularly wide impact and notoriety, where the immune system attacks islets, which are cell clusters in the pancreas that make insulin, which is critical for regulation of blood sugar levels. Intervene Immune has identified a thymus-based approach that could allow the body to recognize transplanted islets as “self” without more than transient and mild immunosuppression, and which could provide a permanent cure for the disease. The fundamentals were proven in 1990, and have been verified to work in many preclinical animal models, yet no one has chosen to apply this method to human patients. We think this lack of clinical application is egregious, and we intend to overcome it by carrying out the first clinical trial of intrathymic islet transplantation for the cure of type 1 diabetes in human patients. What we currently lack, and what you can help us with, is the funding to carry out the trial.